Pak Yu.N. Born December 5, 1942 in Bekabad, Tashkent region. In 1967 he graduated from the Physics and Technology Faculty of the Tomsk Polytechnic Institute with a degree in Applied Nuclear Physics. From 1967 to 1970 – engineer, senior engineer, lead designer of the Karaganda Base isotope laboratory. 1971-1974 – graduate student at the Institute of Solid Fuel of the Ministry of Coal Industry of the USSR. 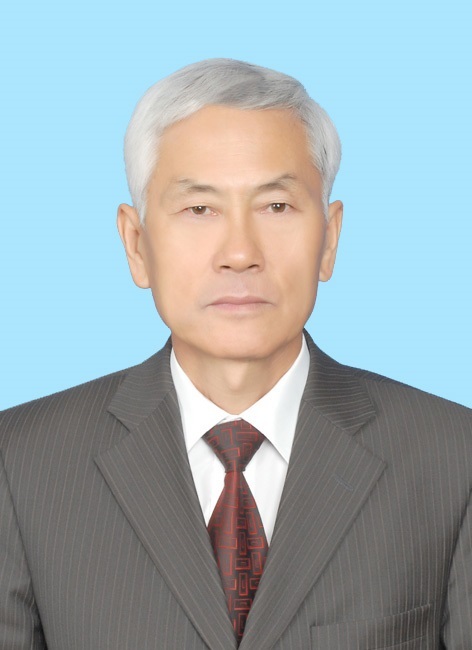 After defending his thesis in 1975, he worked at the Karaganda Polytechnic Institute as a senior researcher, senior lecturer, associate professor, and head of the department of geophysics. In 1989 he defended his doctoral thesis at the Institute of Geophysics of the Ural Branch of the USSR Academy of Sciences in the form of a scientific report. In 1990 he was awarded the title of professor, in 1997 – academician of the Kazakhstan National Academy of Natural Sciences. 1994-2009 – Vice-Rector for educational and methodical work of KSTU. From September 2009 to the present – Head of the Department of RMS. Author of more than 350 scientific papers and 30 copyright certificates and patents for inventions. Yu.N. Pak – Honored Worker of Education of the Republic of Kazakhstan, awarded with the badge “For merits in the development of science of the Republic of Kazakhstan”, holder of the State grant “Best teacher of the university of the Republic of Kazakhstan 2011”, certificate “International teacher of the International community in engineering pedagogy, 2006. Expert IQAA, NAC, IAAR.